To be maximum 24" x 24" with fusible link only at the lower portion of the doors. Louver cut out – 1.5 mm thick galvanized steel C- Channel should be used around the steel louver for the reinforcement. Frame is welded to the door leaf and beading is fixed using M4 x 12 mm self- tapping screws, 3 nos. on each sides. Louver blade – 1.2 mm thick galvanized steel blades are used. 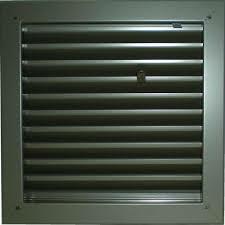 Louver provides free passages of air and sufficient light. It provides protection against excessive daylight and glare inside buildings without in any way affecting ventilation to create maximum air flow in and out. 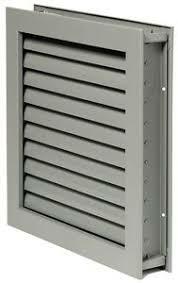 BRISTOL fire rated louver with fusible link have qualified for the following ratings according to BS 475 part 22 standard.